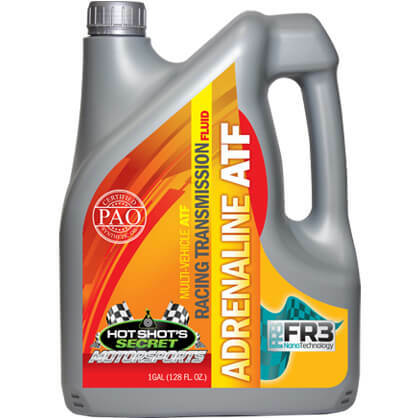 ATF: ADRENALINE MULTI-VEHICLE ATF RACING TRANSMISSION FLUID is recommended for multi-vehicle applications. 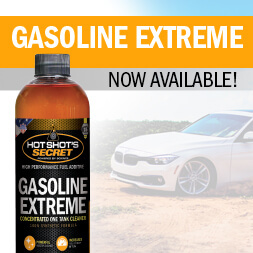 NS: ADRENALINE NANO SHIFT RACING TRANSMISSION FLUID is recommended for extreme horsepower applications, as well as Ford Type F & Allison C4. RACING TRANSMISSION FLUID was formulated for high horsepower, high torque racing applications. 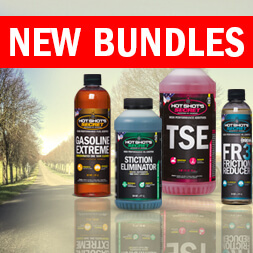 The formulas are based on 100% poly-alpha-olefin (PAO) Group IV and high-quality Group V synthetic oils. The infusion of our patented FR3 Nano Technology and enhanced additive package provides unsurpassed levels of stability and performance designed specifically for racing applications. Dyno tested and track proven for ultimate performance. ADRENALINE RACING TRANSMISSION FLUID also provides increased oxidation resistance, thermal stability, deposit and sludge prevention, reduced breakdown, longer drain intervals and higher wear resistance than competitors. ADRENALINE RACING TRANSMISSION FLUID is for use in automatic transmissions coupled to high horsepower, high torque engines and where heavy loads place a high demand on transmissions.